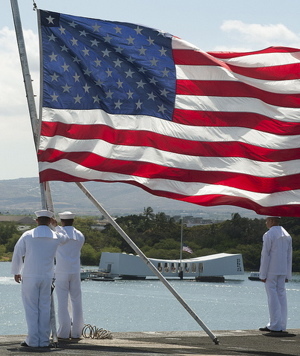 Every year December 7 is referred as National Pearl Harbor Remembrance Day. This was observed to honor 2403 American people who were killed in Japanese Air attack on DEC 7 1941 on Pearl Harbor in Hawaii. 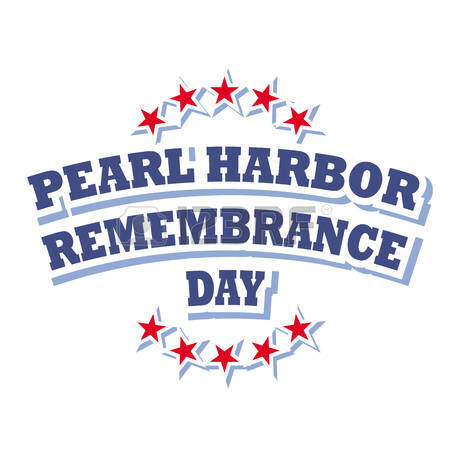 The US Congress On August 23, 1994, nominated Dec 7 of every year referred National Pearl Harbor Remembrance Day. On this day the American flag will be flown Half Mast or Half-staff (i.e) the flag will be flying midway between the bottom of the pole and the summit till sunset to honor those people who died in the attack. As an honor and respect, American people and government organization flew the flag on their homes and workplaces. Without declaring a war the naval air services of Japan attacked pearl Harbor, this terrifying attack destroyed two battleships USS Arizona and USS Oklahoma and damaged five others and several other naval property losses, 188 aircraft were destroyed and damaged air craft’s numbered 159. The day after the attack the United States of America declared war on Japan; by this move America has officially entered into World War II joining hand with allied powers. 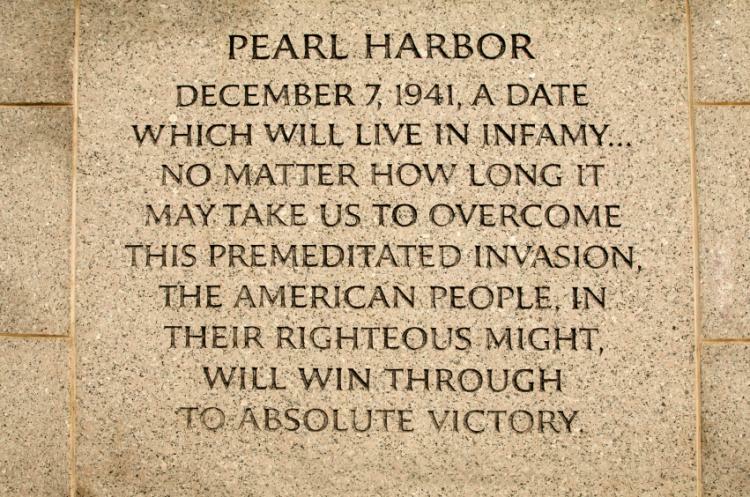 This year the US will observe the 75th annual year of Pearl Harbor attack, The 75th anniversary of the attack on Pearl Harbor is the right occasion for youngsters to respect and honor the brave sacrifice and commitment of our "Greatest Generation", the suffered incredible sacrifices of civilians military personnel on December 7, 1941, the Like our president Franklin D. Roosevelt said it’s the "date which will live in reputation." It would push America into World War II, varying Hawaii and America forever and this continues to describe their place in the World. The actions of this date triggered to resolve as a nation, our can-do attitude and resourcefulness and an unmatched commitment to the defense of freedom. Accepting past events and their penalty can arouse respect for an emotional assurance to peaceful solutions to conflict. How do we help future generation to plan their way in the direction of peace and prosperity? We can learn from the past. A key focus of the remembrance of the 75th anniversary of the attack on Pearl Harbor will be a brighter future in our relationship with Japan and the celebration of 71 years of peace between us.